Katharine Hayhoe, one of TIME Magazine’s 100 most influential people in 2014, appreciates both science and faith. Hayhoe states: "I don’t accept global warming on faith: I crunch the data, I analyze the models, I help engineers and city managers and ecologists quantify the impacts." 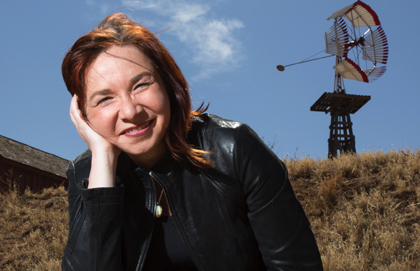 Katharine Hayhoe, one of TIME Magazine’s 100 most influential people in 2014, delivered three lectures relating to her field, climate science, three years ago this month, at Trinity Western University, near Vancouver, in Langley BC. Hayhoe, a Canadian, is a climate science professor at Texas Tech University. Her husband, Andrew Farley, is an evangelical pastor in Lubbock, where TTU is located, and a teacher at the school. The congregation he pastors goes by the name of Church Without Religion. Shortly before our interview, Farley and Hayhoe had co-authored A Climate for Change: Global Warming Facts for Faith-based Decisions. I interviewed Hayhoe on September 30, 2014, by phone, while she was sitting out a plane change in Oklahoma City. During our interview, Hayhoe talked about the influence of her family in Toronto, where she grew up, in helping her to appreciate both science and faith. 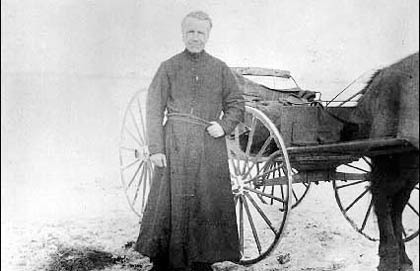 The Hayhoe family was and remains influential among evangelical Christians in Ontario. That influence comes through the Plymouth Brethren movement in which she was raised, as well as through such organizations as Tyndale University College and Seminary, the Canadian Council of Christian Charities, Inter-Varsity Christian Fellowship and World Vision. 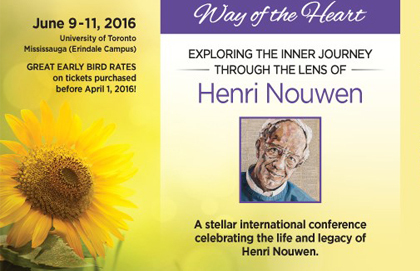 Her father, Doug Hayhoe, is a professor in the teacher education program at Tyndale. Other Hayhoe family members have brought their influences to bear in legal, business, civic affairs, international and educational fields. Inter-Varsity continued that influence – particularly through its emphasis on inductive Bible study – when she went to the University of Illinois, where she earned her masters and doctorate – and where she met Farley. Much of that baggage revolves around political and religious polarization on the issue, particularly in some parts of the United States. In a PBS interview with Bill Moyers, she spoke about the emphasis many pastors in drought-ridden West Texas have, simply, on “praying for rain.” They do so, she suggested, without recognizing the role human-related climate change might have on their predicament. Hayhoe has built her influence in the faith-science discussion, in part, by declining to participate in combative media debates that pit pro- and anti-climate changers with each other. She is mildly but clearly critical of people who view climate science sceptically from a conservative perspective and choose to stand apart from the discussion, throwing stones, so to speak, at those who differ. Conservatives, in their own right have valid perspectives, she said, adding that they need to bring those perspectives to the discussion table, rather than lobbing them from beyond the rim. 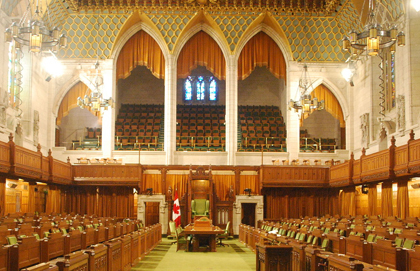 In fact, she points to a group with which she readily identifies, which has a growing presence in Canada, Citizen’s Climate Lobby. The website for that group contains a strategic guide which summarizes the approach Hayhoe tries to follow in acquainting people who might otherwise be ‘enemies’ with facts and information about climate science. In our interview, Hayhoe made three points for consideration. She notes that China, despite the size of its environmental ‘footprint,’ is taking action on wind and solar energy that North Americans would do well to take note of. Our per-person emissions remain higher than China’s, she maintains. In the months following our interview, Hayhoe lectured at several other Canadian colleges and universities, many of them Christian – including Regent College at University of British Columbia. And two accounts of her work, one published two years ago in Maclean’s Magazine and the other, this past summer, in Journal of Geoscience Education, update what has been happening since 2014. He noted that not all had been easy for her, in working for that balance. Downsides have included hate e-mail following her appearance on Pat Robertson’s Christian Broadcasting Network (CBN). More heads bob, and more affirmative murmurs rise from the floor, and it’s here that Hayhoe shifts from an appeal to conscience to a call for action, enlisting her audience into a battle for the future of humanity. “How loving is it to ignore when developed countries do things that actively harm developing nations?” she asks, pausing to let the question sink in. “When people who have resources do things that harm people who do not, right here in our country? Beneath the approachability, though, lies her rock-solid conviction that faith and reason are compatible. Raised in a household where religion and empiricism peacefully coexisted, Hayhoe was inspired to pursue science by a father who taught the subject to high-schoolers, and who saw it as a gift from God. They were members of the Plymouth Brethren, a back-to-the-Bible offshoot of the Anglican Church considered moderate by the standards of American evangelicalism. Her parents took the Church’s ideals seriously, though, packing the family off to Colombia when Katharine was nine to teach and work as missionaries.